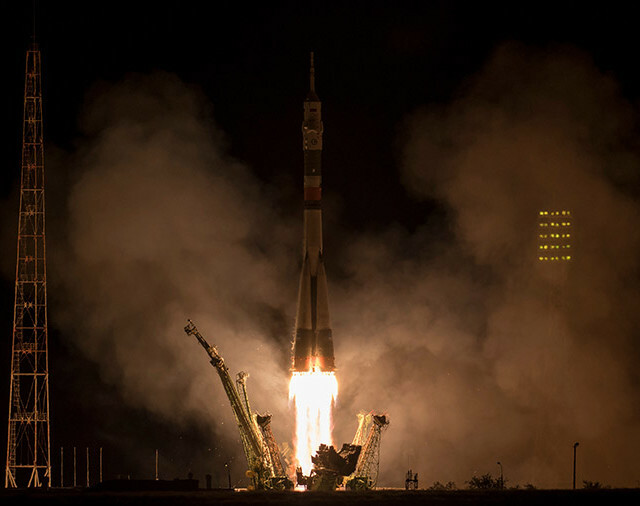 A few hours ago the Soyuz MS-06 spacecraft was launched from the Baikonur Cosmodrome in Kazakhstan and after about six hours reached the International Space Station with three new crew members on board. The Soyuz used the fast track, now commonly used also for this spacecraft’s new version. Alexander Alexanderovich Misurkin. Born on September 23, 1977 in Yershichi, Smolensk Oblast, then USSR, now in Russia, studied at Kacha High Air Force Pilot School to continue his training as a pilot at the Armavir Military Aviation Institute graduating in 1999 as a pilot-engineer with a gold medal. He served as a pilot instructor and air commander until 2006 when he was selected as a cosmonaut candidate. He has already served on the International Space Station in 2013 as part of Expedition 35/36 until September 2013 conducting 3 spacewalks. He’s married and has two children. Mark Thomas Vande Hey. Born on November 10, 1966 in Falls Church, Virginia, USA, he received a Bachelor of Arts in Physics from Saint John’s University in 1989 and a Master of Science in Applied Physics at Stanford University in 1999. Commissioned in the Army, he worked as a physics professor at the West Point military academy and subsequently served in various positions, including in Iraq. He began working at NASA’s Johnson Space Center as part of the local military contingent. In 2009 he was selected as an astronaut candidate and in 2014 was part of the crew of the NEEMO 18 submarine mission. He’s at his first space mission. Joseph Michael “Joe” Acaba. Born on May 17, 1967 in Inglewood, California, USA, he received a Bachelor of Science degree in geology at the University of California at Santa Barbara in 1992 and a Master in Geology at the University of Arizona. He’s been a member of the Marines Corps Reserves for six years and for two years in the Peace Corps volunteer organization. After several experiences, also as a teacher, in 2004 he was selected as an astronaut candidate. In 2009, he was part of Space Shuttle Discovery’s crew on the STS-119 mission, making a spacewalk to install the last solar panels at the International Space Station. In 2012 he returned there, this time to stay for four months as part of Expedition 31/32. His family is Puerto Rican and has received many rewards when he went to Puerto Rico. 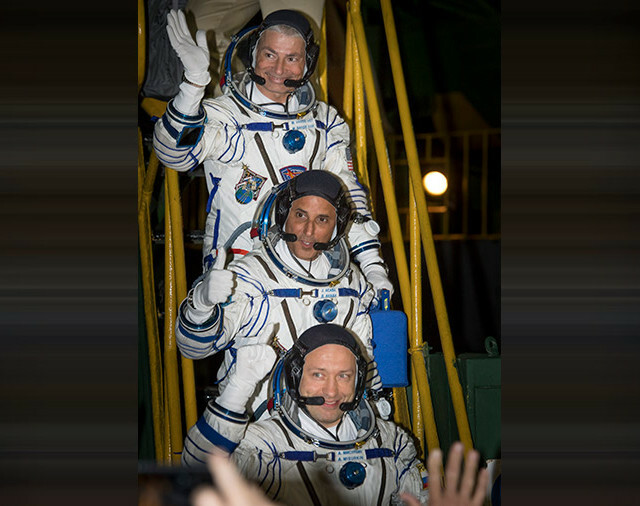 From Expedition 52, NASA has three astronauts on the International Space Station and the collaboration of ESA/ASI astronaut Paolo Nespoli in scientific research, and this allows the agency to increase the number of experiments to be carried out. It’s one of the effects of the decision by the Russian space agency Roscosmos to decrease the number of cosmonauts on the Station.